From the ever-smoldering embers of some of Bellingham’s heaviest and most influential bands rises the unrelenting force of newcomer Allura’taq. 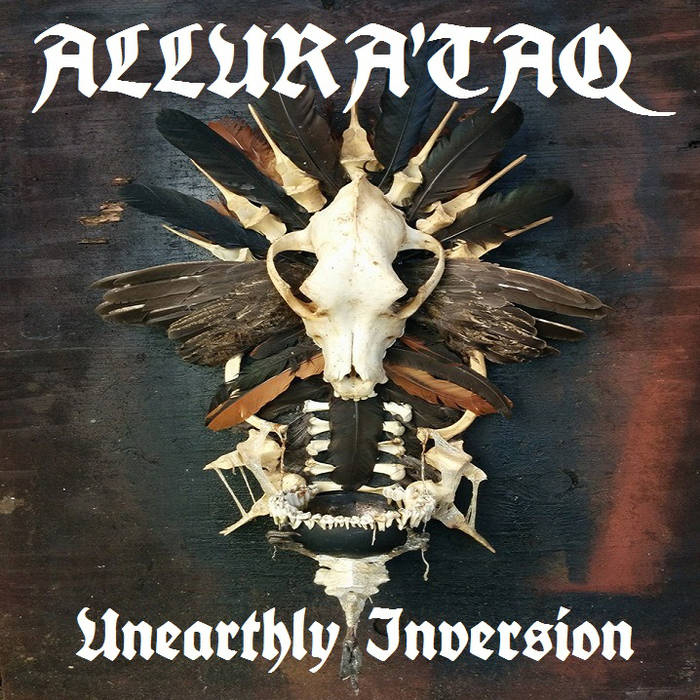 Headed by Jeff Kastelic and Bobby Lind (Savage) of Full Frontal Assault, Devilry and Kodiak fame, Allura’taq is poised to obliterate the already rubbled ruins of a music scene that is still trying to piece itself back together following the collective, unassailable reign of their previous bands. Unearthly Inversion wastes no time with intros and instead kicks off with a blitz of guitars, drums and the dark, guttural moans of Kastelic. Throughout the album, the vocals are sagely buried by the pummeling assault of instrumentation and emerge like faceless voices roaring from the cover of dense fog in a frozen wilderness. The album in its entirety evokes an atmosphere that seems to fluctuate between disorder and direction, mayhem and tranquility, discord and harmony. The songs’ compositions are melodic and driving at times, then blistering and exhaustive in others – often occurring within the same song. The album closes with, “Circle of Curses,” an epic 12-and-a-half-minute example of such an arrangement, before the last note rings out to silence. Unearthly Inversion clocks in at more than 40 minutes of inspired Black Metal. While clearly influenced by the likes of Immortal and Darkthrone, Allura’taq is anything but a bland reproduction of those bands. The Pacific Northwest has become the birthplace of great music in this genre over the years and this band, uniquely its own, can go up against any of them.